 #Breaking ℹ #France  #Paris: Horror at its height. 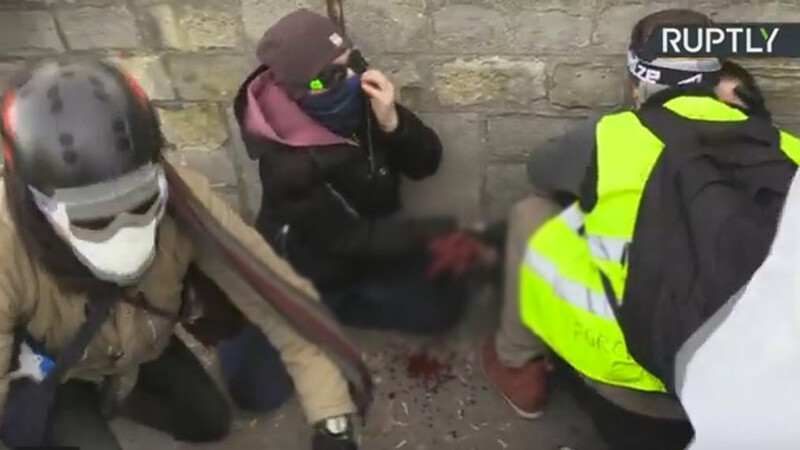 A hand of a #GiletsJaunes completely amputated before the assembly. You're crazy cops, you incite civil war or what?